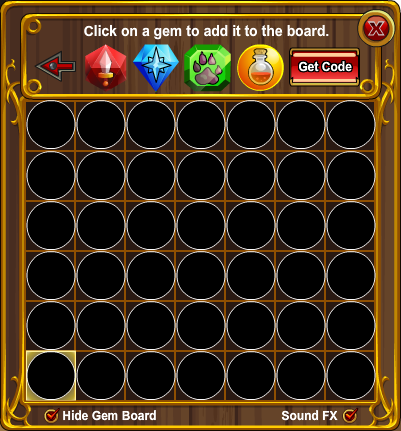 Click and drag the cursor with the left mouse button. 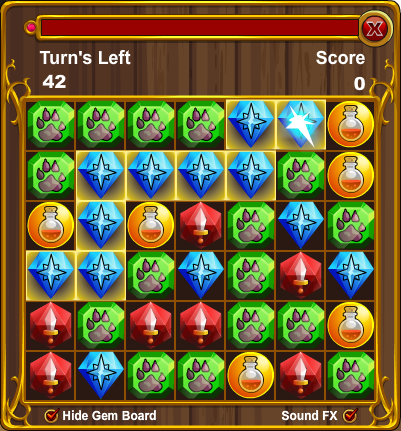 Using your cursor, drag and match as many of the same colored gems to each other as possible. The bigger the chain is and the less moves you make, the higher your score will be. You will not get a reward if you are playing a custom game. Prizes are not based off of score. Thanks to MaiNeym and rickyb20. 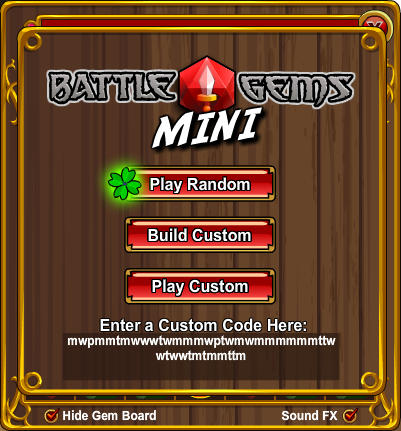 Play this minigame in our free web game at www.AQ.com!